The possibility of studying a company that was present in all of the most significant moments in the transformation of Portuguese society since the late 19th century is of great importance. Caima came into being during the reign of King Luís, it grew during the First Republic, and remained operational throughout all of WWI, during the military dictatorship, WWII, the 25 April 1974 revolution, the inclusion of Portugal in the European Economic Community (EEC) – now the European Union –, and the adoption of the single currency and end of the Portuguese escudo. Caima was established on 17 May 1888. The Albergaria factory was constructed in 1891. Building a plant that produces pulp using an innovative chemical process, in the centre of Portugal at the end of the 19th century, required importing all of the equipment and an assembly team from Germany. “Imagine what it was like to build a factory in Portugal, whether for textile or metalworking, when technical training at the time was low and there was no specialised labour. Even more so when this unit was a calcium bisulphite-based chemical industry”, states Jorge Custódio, an industrial archaeologist and researcher at the Instituto de História Contemporânea (Institute of Contemporary History) in charge of coordinating the research on Caima. “Building this company’s history involves the history of the society of this region and the country itself”, declares Sofia Costa Macedo, a professor of Cultural Heritage at ISCTE, member of the board of directors at APAI – Associação Portuguesa de Arqueologia Industrial (Portuguese Association for Industrial Archaeology) and one of the three members that make up the research team that developed the history of Caima, the first chemical pulp production plant in Portugal. The starting point of the investigation was a trunk stored at the company, which contained approximately 150 documents on The Caima Timber Estate & Wood Pulp Company, Limited. 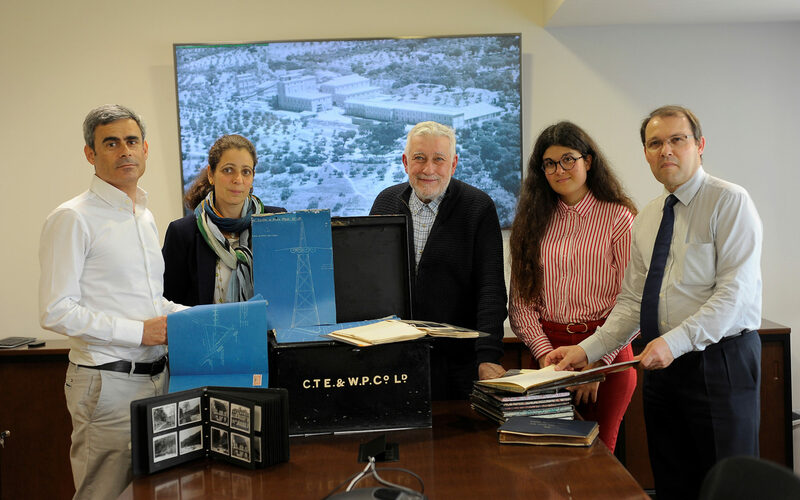 The Master of Industrial Archaeology and researcher on the Caima project, Susana Pacheco, shares that, to develop the work, several different archives were consulted. Those at the Constância plant and Albergaria plant – most of which are at the Albergaria-a-Velha municipal archive –, as well as state, municipal and district archives, among which those of the former Ministry of Public Works and Ministry of the Economy, where there was a good deal of information. The researchers also consulted foreign archives, namely the National Archives in England. It was in London that they found the original statutes of the establishment of The Caima Timber Estate & Wood Pulp Company, Limited, Caima’s oldest information. From England alone, more than 300 documents were researched and brought back. Altogether, the researchers found more information than they had expected. Information that had to be analysed and validated to assess whether it was relevant to the investigation. 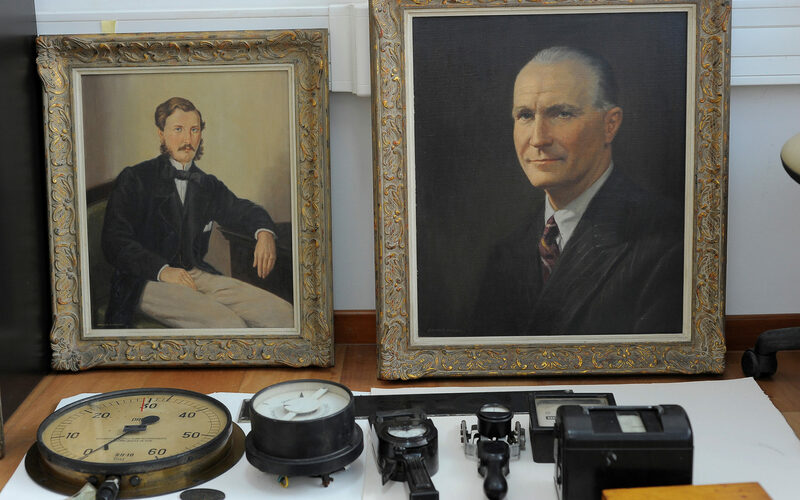 More than 200 items were discovered at the Albergaria archive, with each item made up of various documents. These were volumes of letters and, to give an idea of the volume, each item contained 600 letters. Jorge Custódio, in charge of coordinating the research on Caima, explains that these items “are a minimal percentage of what we were able to save. The rest was lost”. A situation that ended up disrupting the order of business, since it implied greater analysis and effort. Another very important aspect of this work was to give the story a human dimension. “Who the people were, their role, how they stood out, what influence they had on the measures adopted by the company and what the practical results were for the business”, says Sofia Costa Macedo. A feeling seconded by Jorge Custódio, who mentions that this aspect is “interesting and led to maps that will be included in the exhibition and book, showing Caima’s universality”. One example of Caima’s universality was the company’s relationship with the British newspaper The Daily Telegraph. This prominent journal founded in 1855 remains one of the most important in the United Kingdom and, for many years, used paper produced from Caima pulp. A project of this dimension required the creation of a work chronogram and included the collaboration of various experts in fields such as Forestry, the Environment, Chemistry, Architecture, Heritage and Civil Engineering, to address more specific aspects of the evolution of the factory and all of the technological and scientific elements associated with the improvements introduced. “We discovered all of the technology used in the plants. At the beginning, I never thought it would be possible to recreate a plant like the one in Albergaria, which is in ruins, and find out which machinery existed”, explains Susana Pacheco. The researchers were able to find several technological blueprints, with dimensions from that time and how the equipment was installed. Who the constructors were, the size of each part and the machines in question. “There is a wealth of knowledge and detail about the whole evolutionary process of the technology used by Caima”, adds Susana Pacheco. The work developed by the researchers includes production of a book that tells Caima’s story, an exhibition that takes this knowledge to the public, and thematic conferences due to begin in October. From the beginning of the project, the team considered the importance of processing the archive of the material found and making it available. An idea that was echoed within Caima itself, opening the possibility of “placing the digital archive on a drive containing everything we investigated”, says Jorge Custódio. According to the leader of this ambitious project, this will enable anyone to research whatever they wish on this platform, since all of the information is processed and organised. 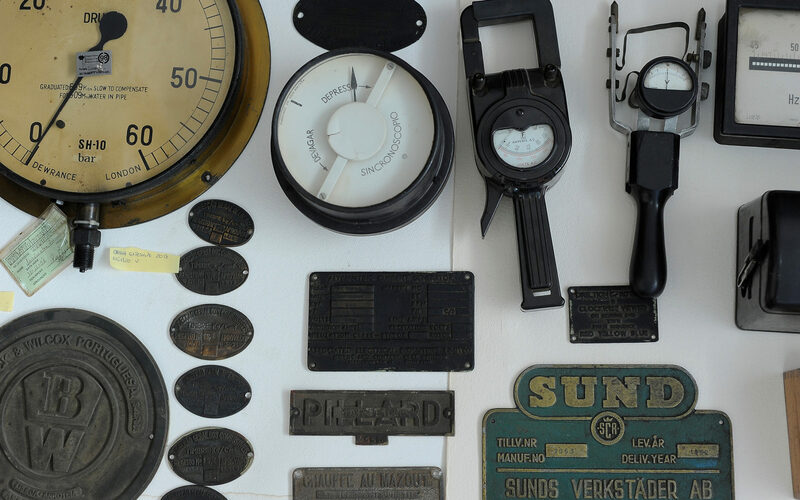 The industrial archaeologists will explain the company’s history and provide a deeper understanding of its importance in the past and present, collaborating in its outlook. The work shows Caima’s technological evolution and the positioning of the company that produces raw material to ensure products like sausages don’t go without packaging or medication without wrappers. These and many other goods are produced using the soluble eucalyptus pulp produced by Caima. Working on the material history or culture of new products is also a goal of industrial archaeology. Whether the factory that closed in Albergaria-a-Velha, in the Branca council, or the plant in Constância, Ribatejo. Our investigation will introduce an element that focuses more on the material industrial aspects, rather than what can only be read. An example: with this study, we get to know Eric Daniel Bergqvist better, who worked at Caima and was a director in the company for many years, playing an innovative role in its organisation and technology. The knowledge of the manufacturing unit will benefit from the documental investigation, interpretation and research. It is more comprehensive, since it involves several perspectives: sociological, economic (productive and commercial), biographical, material, cultural and the value that the archive may have. Therefore, we have advised the entity that requested this work to preserve its archive, including in a digital format, and deliver the material part to a public entity in order to safeguard it in the future.